Those financial reports just keep on coming, and now ARM, the British company designing the architecture for virtually all mobile devices like smartphones and tablets, reports that it grew profits by 23% in the second quarter of 2012. ARM’s net profit stood at £66.5 million or nearly $102.9 million in the three months between April and June, up from £54.2 million in the same period last year. The growth is due to growing licensees for the new ARMv8 processor, along with 23 licenses for processors and chip shipments reaching 2 billion. Processor royalties are also growing despite an overall decline in the industry. Adding to that, ARM now has 3 licensees for the Mali GPU, 2 of them new ones. “ARM’s royalty revenues continued to outperform the overall semiconductor industry as our customers gained market share within existing markets and launched products which are taking ARM technology into new markets,” ARM chief executive Warren East said. The bad macroeconomic climate however doesn’t allow bright expectations for the future. 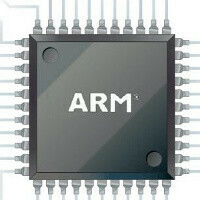 In Q3 ARM still projects a small growth but in Q4 things will start getting worse. Most recently, we heard that ARM has deepened its partnership with TSMC, the world’s largest manufacturing plant, and the factory has now agreed to make 20nm ARM chips in the future. Where are the A15..... good luck!